For the record, building under Windows is a pain. Simplified root-node marking. Rather than having to manually clear roots if there’s more than one in a tree, simply select the vertex you want to be root and click “Mark Roots”. Generating an armature from skin will now automatically add an armature modifier too, so you can start posing immediately. Improved quad generation for branch nodes, avoids merging triangles when the resulting quad would be non-symmetric. Added RNA/UI for symmetric axis (X, Y, or Z). 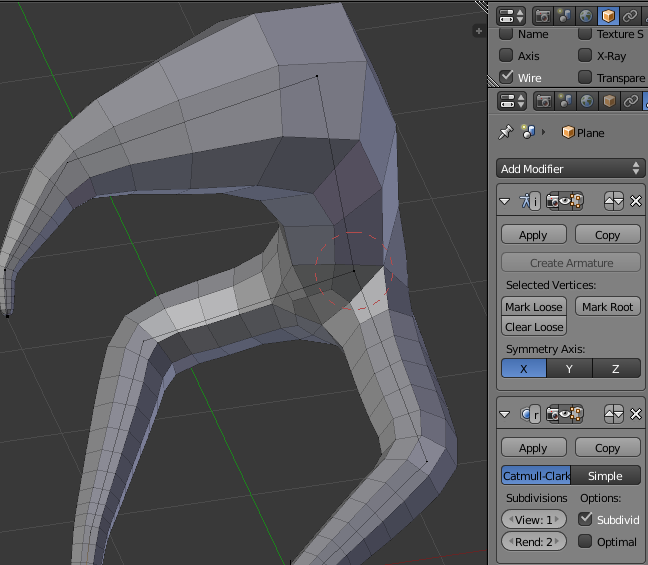 Fix vertex merging, was sometimes creating weird polygons attached to vertex zero. The usual set of code cleanups and minor bug fixes. And thanks as always to the folks providing feedback! 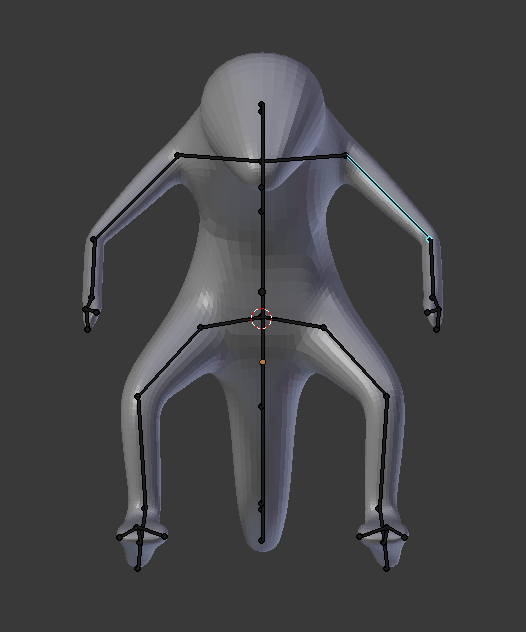 Thanks to all for the feedback on the armature skinning patch. 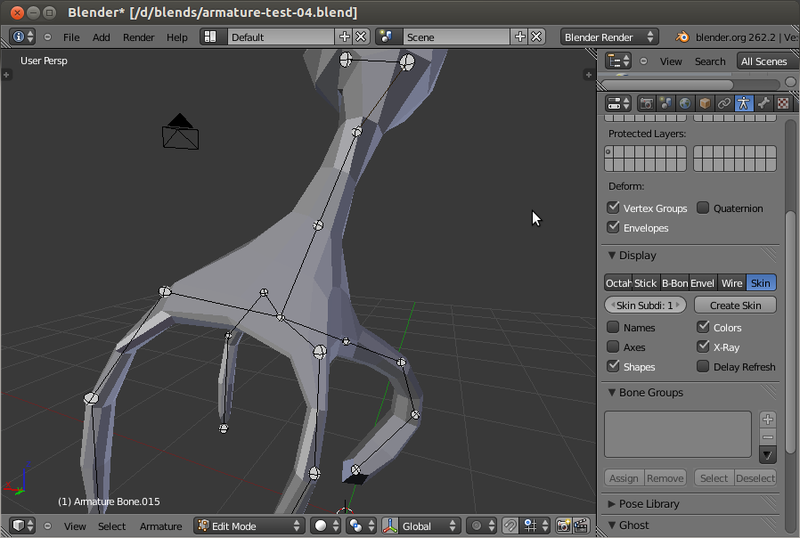 I think it’s clear at this point that most people would prefer the mesh modifier approach to armatures. 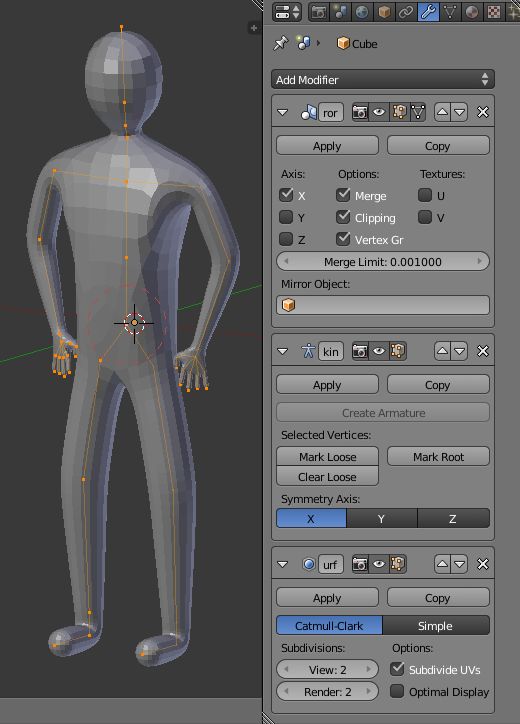 I’ll be going back to that approach and looking at adding a “create-armature” operator to aid in posing the mesh modifier output. Code doesn’t disappear just because we try something different. Some folks made it sound like I destroyed the skin modifier code in a shredder in order to make the armature-skinning code. Not so much. Resist the temptation to use hyperbole, caps-lock, or exclamation points. Do embrace whitespace and punctuation. Update: Rebased skin modifier against latest trunk, pushed new branch to blender-bishop on github. In addition to the partial visibility and masking tools I’ve been posting about, the skin modifier is another target I’m working on under the Blender development fund.